We were fortunate enough to have some hands-on time with the Droid 2 this morning, a full day before the phone hits stores for sale and came away completely impressed. Aside from the locked bootloader we’re all aware of, there weren’t any real issues with this device and I can easily say that this is another winner for the Droid family. 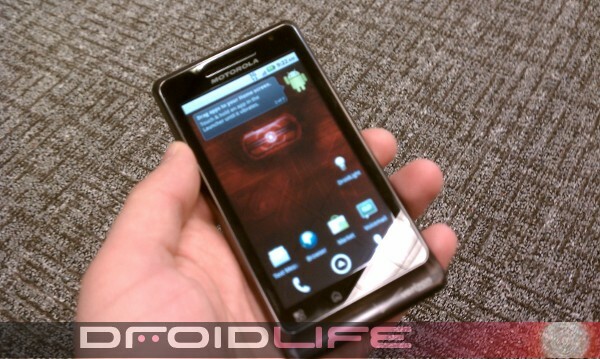 It brought back memories of the first time I held the Droid 1, only it felt lighter and obviously has unmatched speed. Oh and the pre-installed Froyo wasn’t too shabby either. As you may have noticed, that is indeed a VZW store. The Cedar Hills location in Beaverton, OR to be exact. They were kind enough to let me in early to peep the device. Big thanks guys!